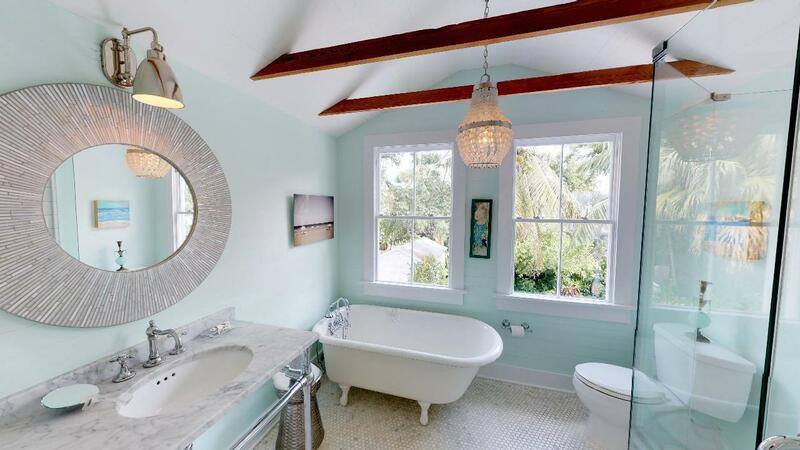 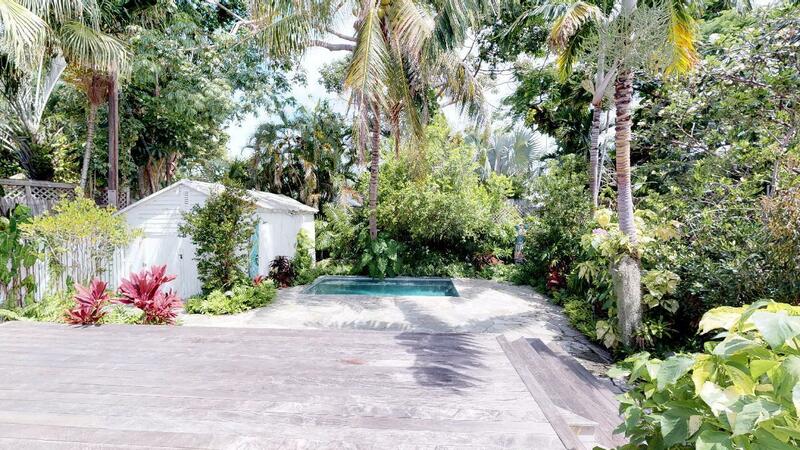 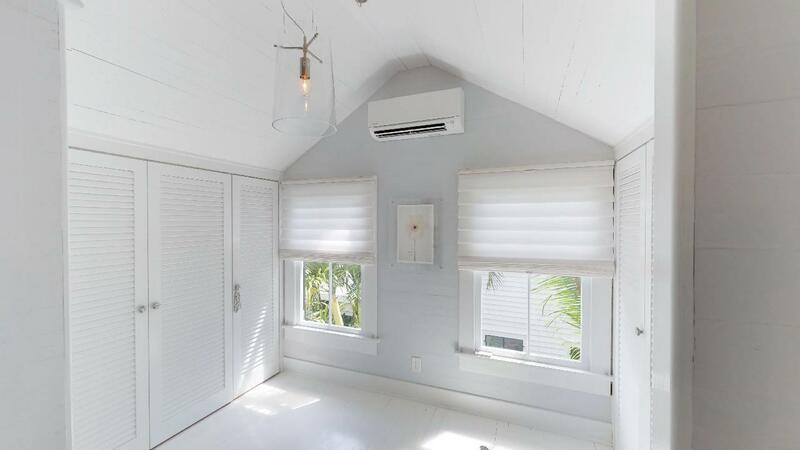 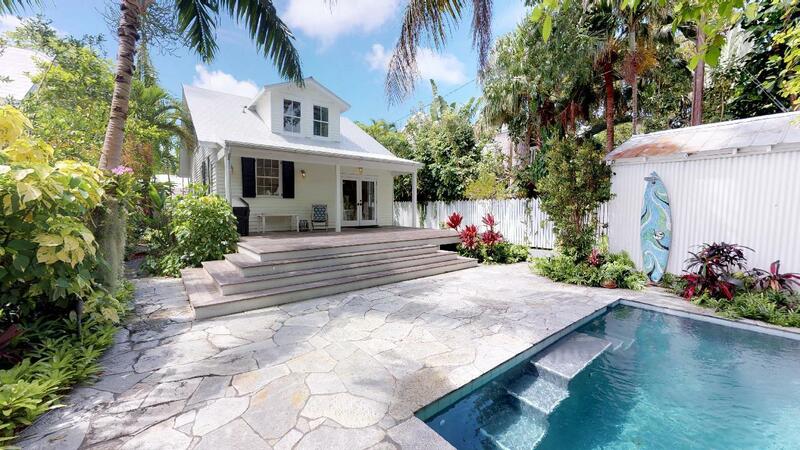 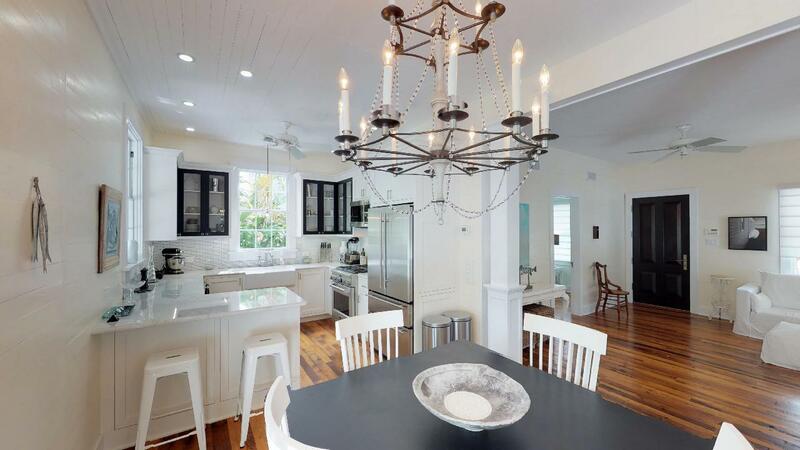 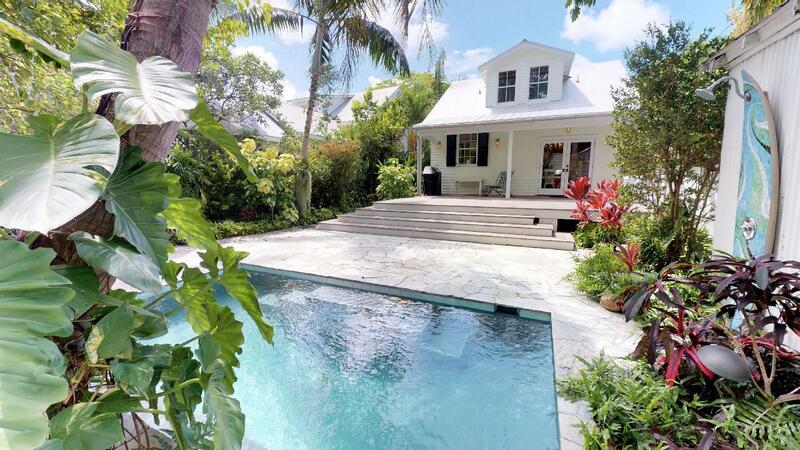 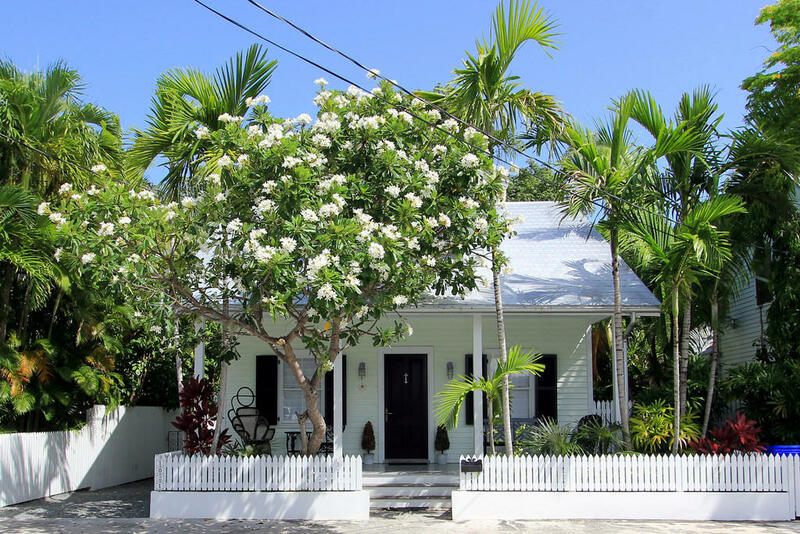 This is a sweet Key West dream home. 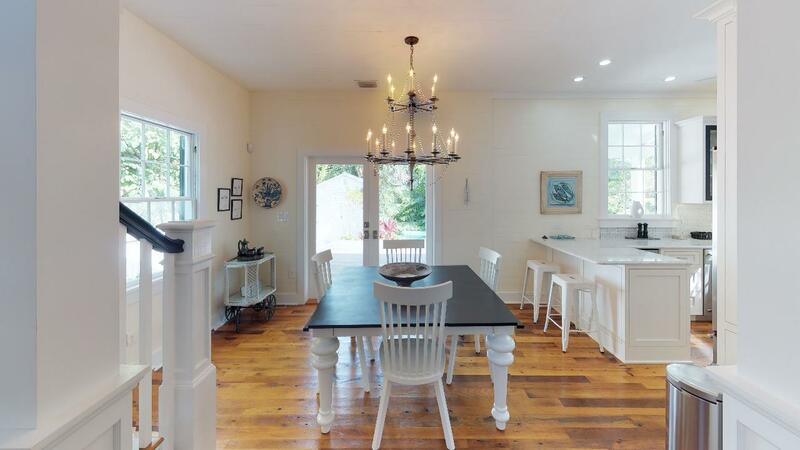 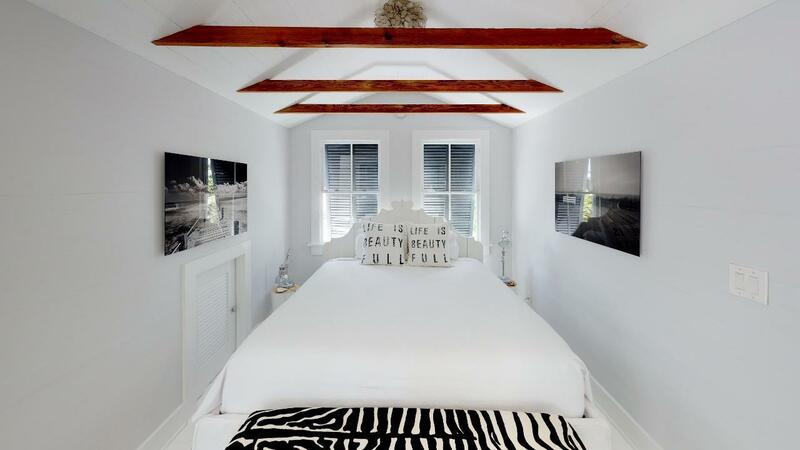 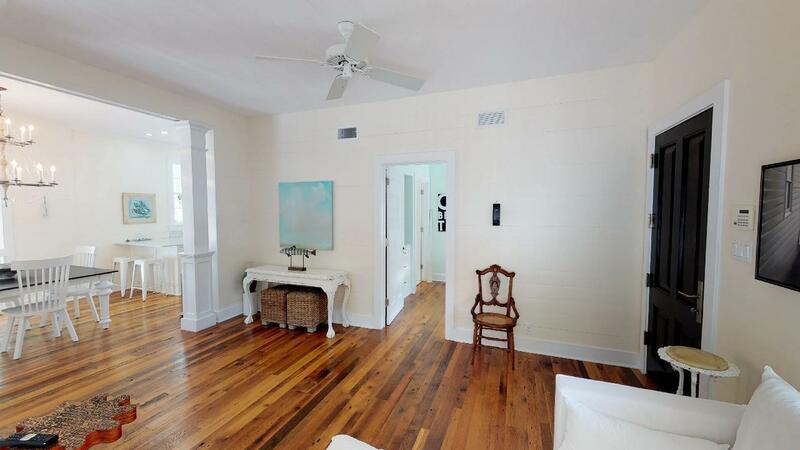 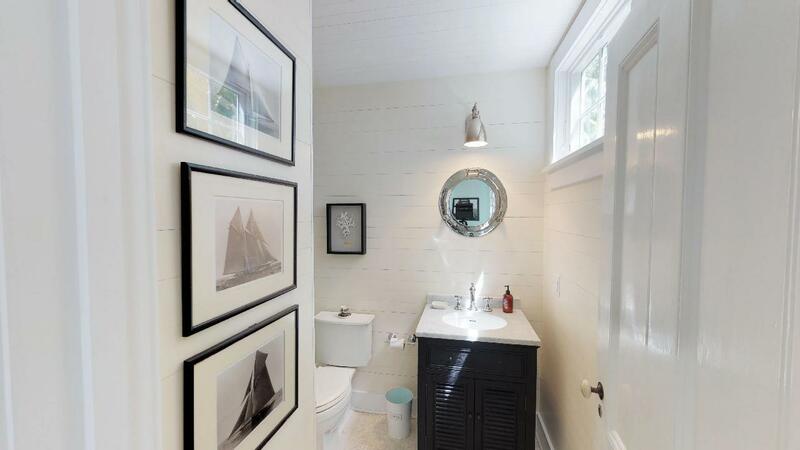 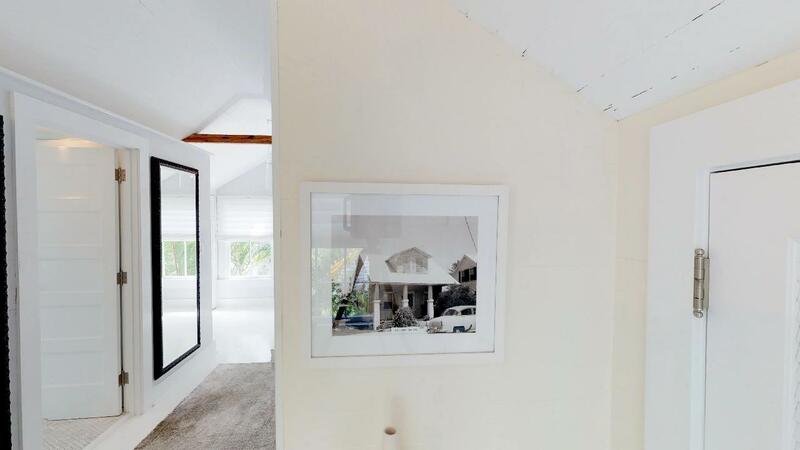 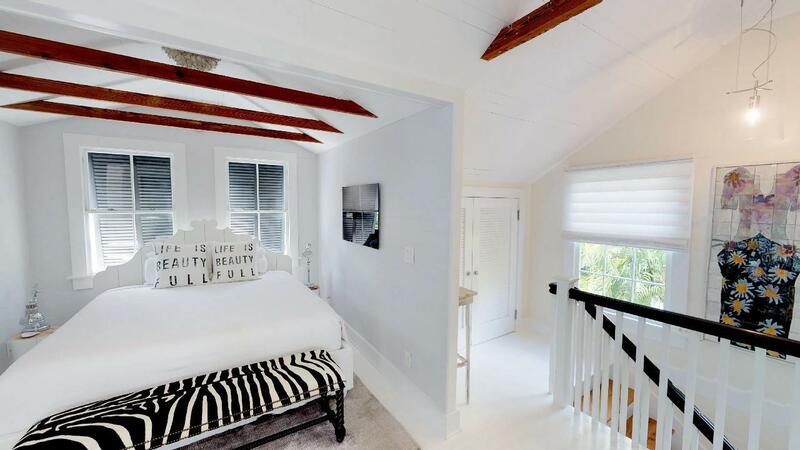 White washed walls and warm wood floors highlight the style and attention to detail of this charming home. 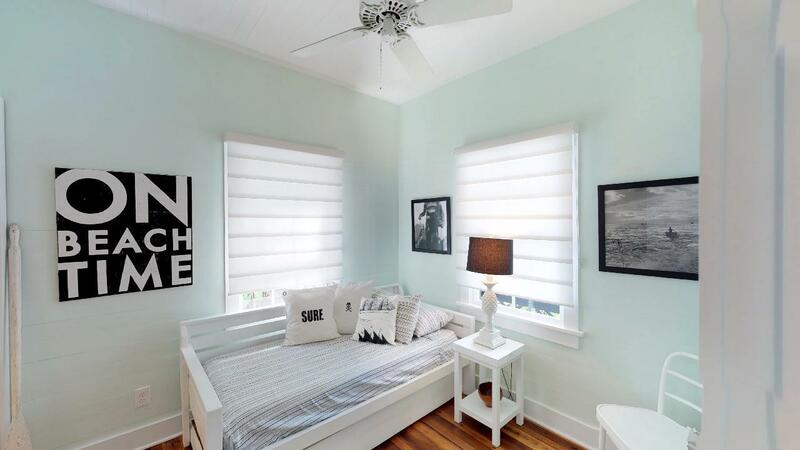 A guest bedroom with en suite bath and built in storage is on the first floor. 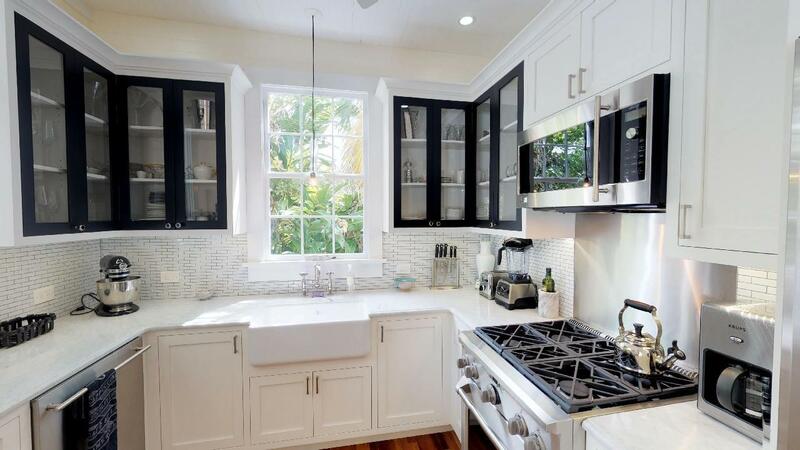 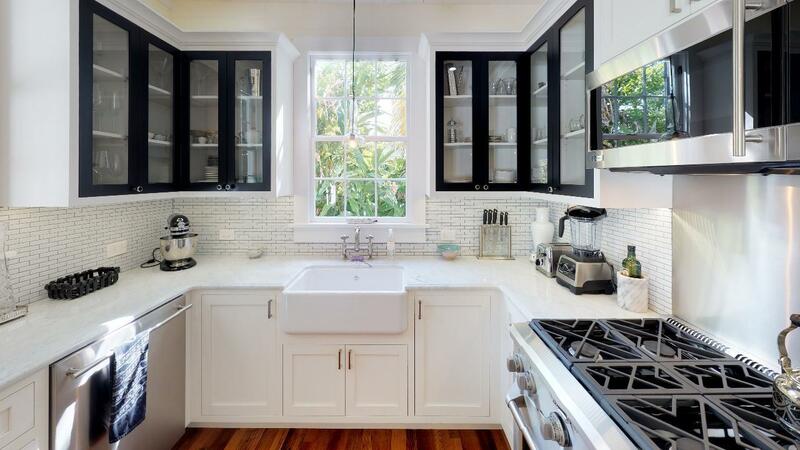 The sunny kitchen has white marble counter tops, a farm house sink,tall wood cabinets and stainless appliances. 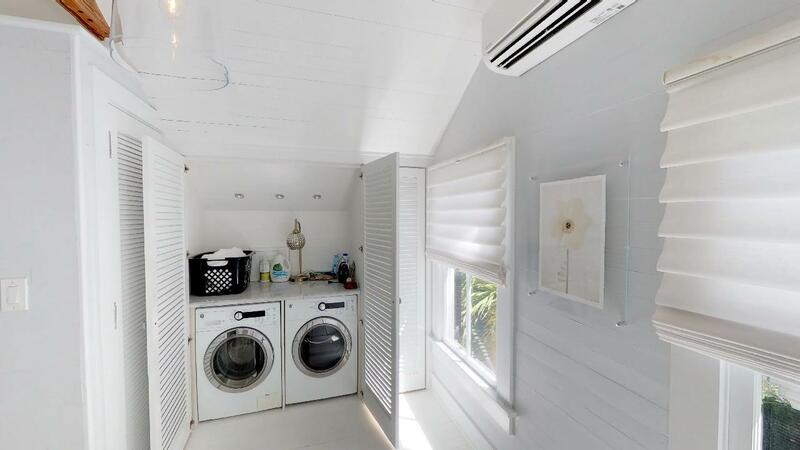 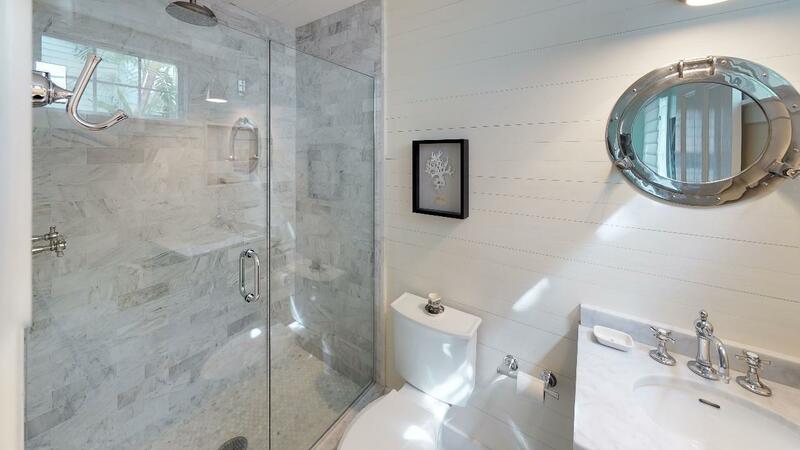 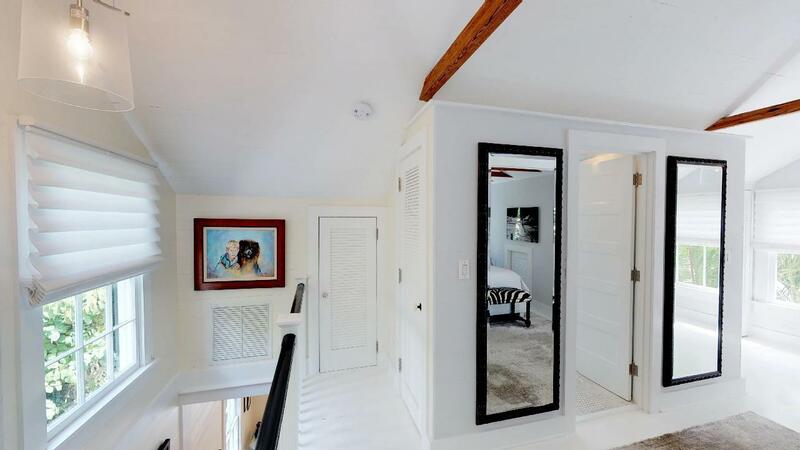 The entire second floor is a private master suite with lots of closet space, a sitting room, a large bath with a free standing tub and glass enclosed shower. 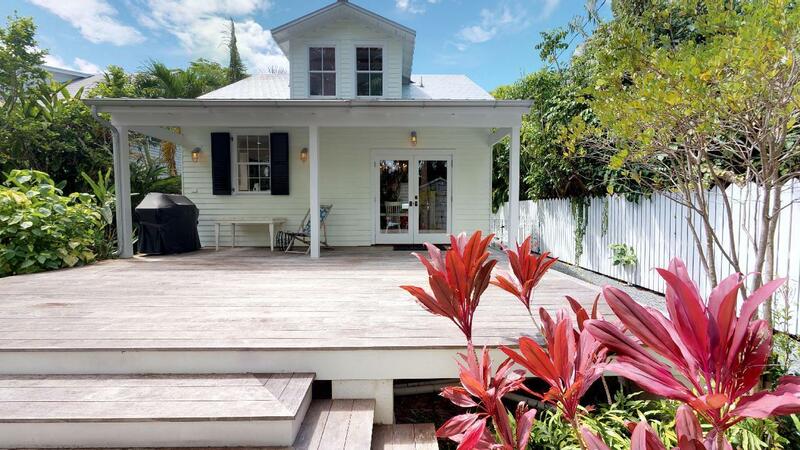 Outside is a huge deck that offers an exceptional amount of space for entertaining. 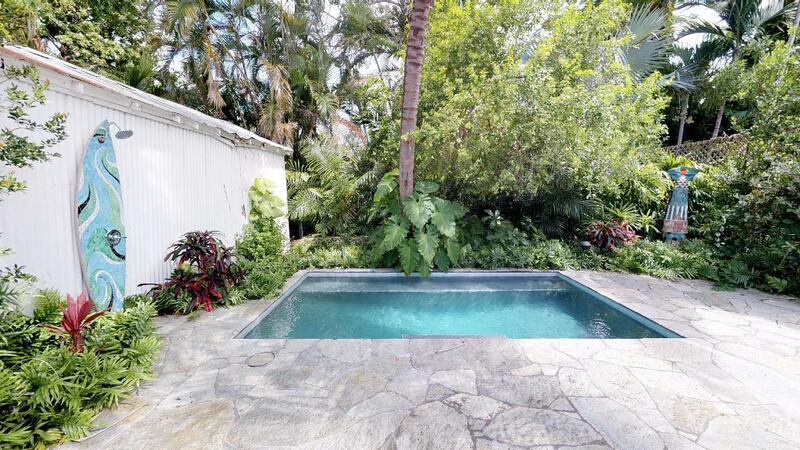 The heated pool is surrounded by tropical landscaping and offers total privacy. 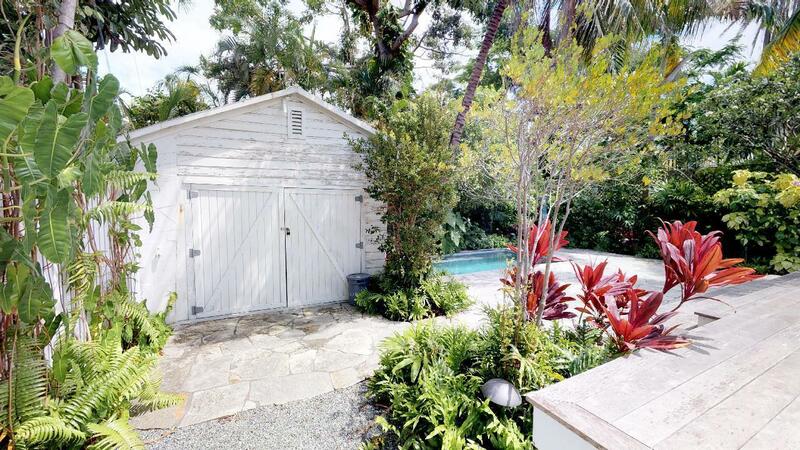 An unfinished outbuilding can be re-purposed. 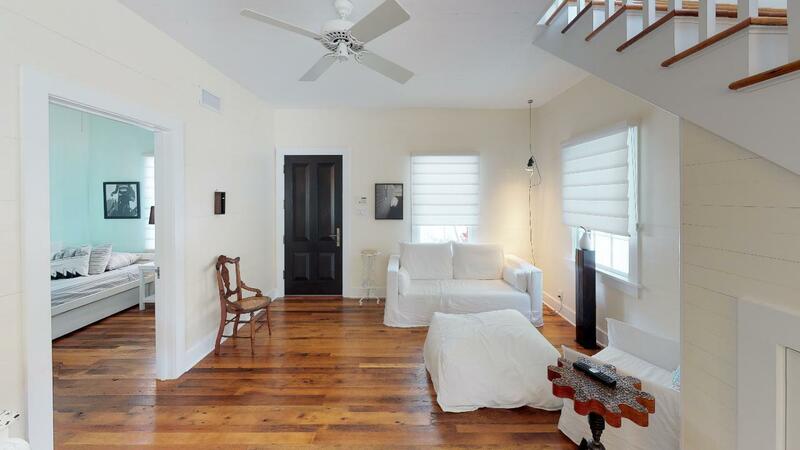 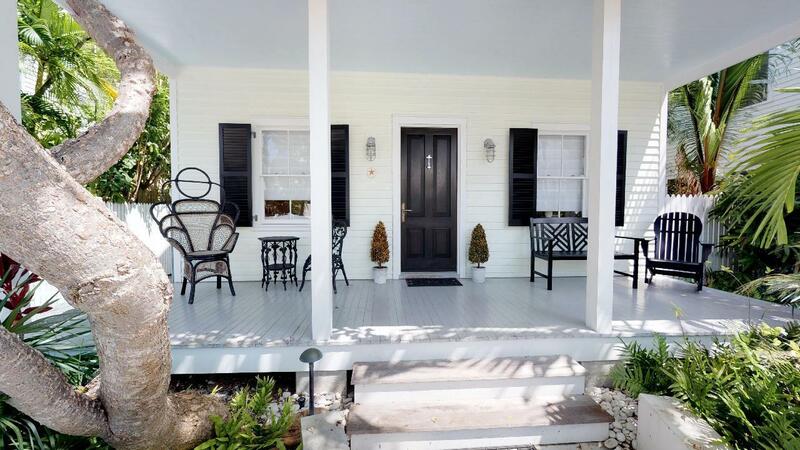 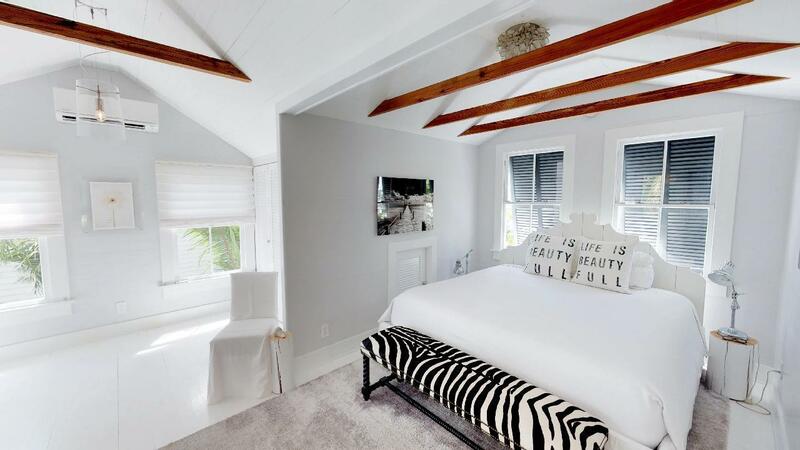 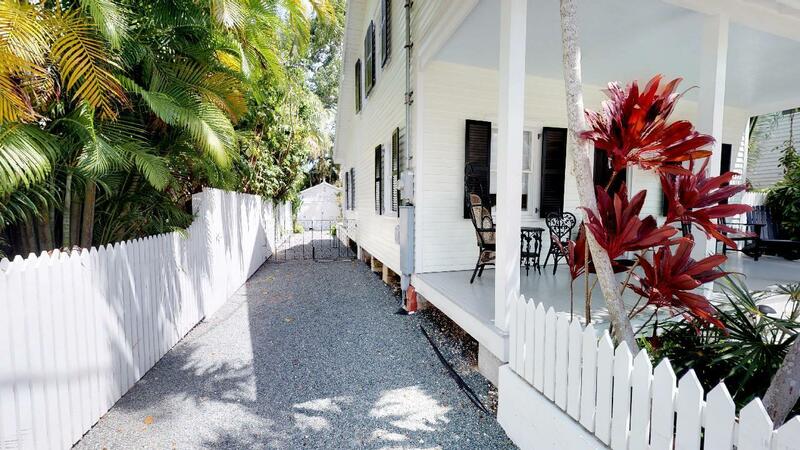 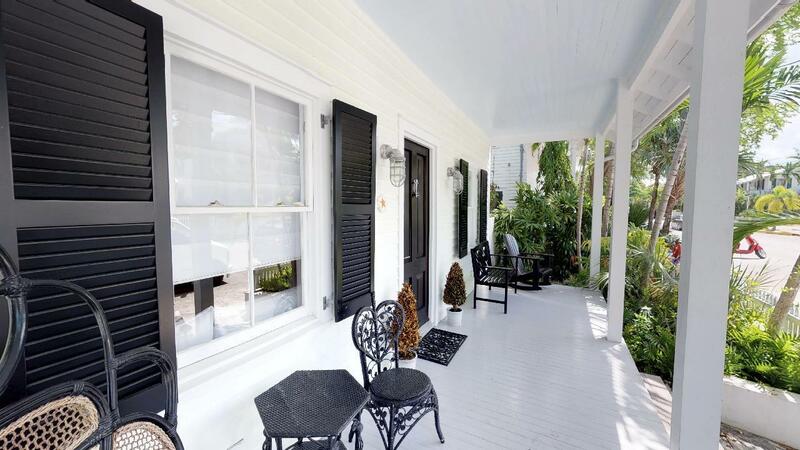 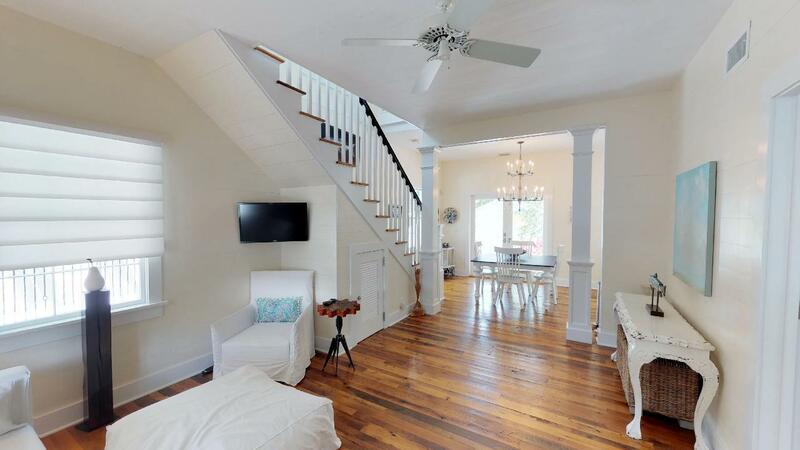 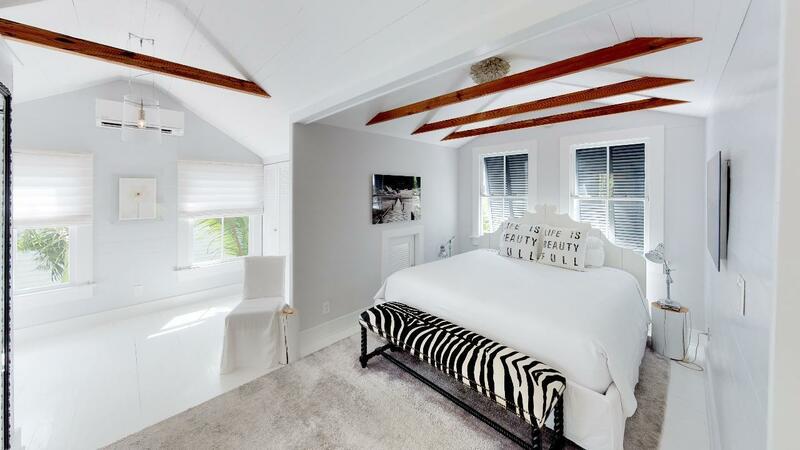 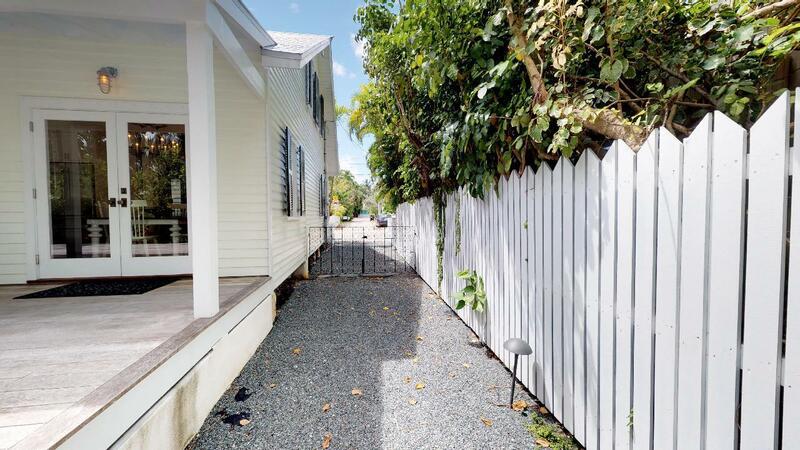 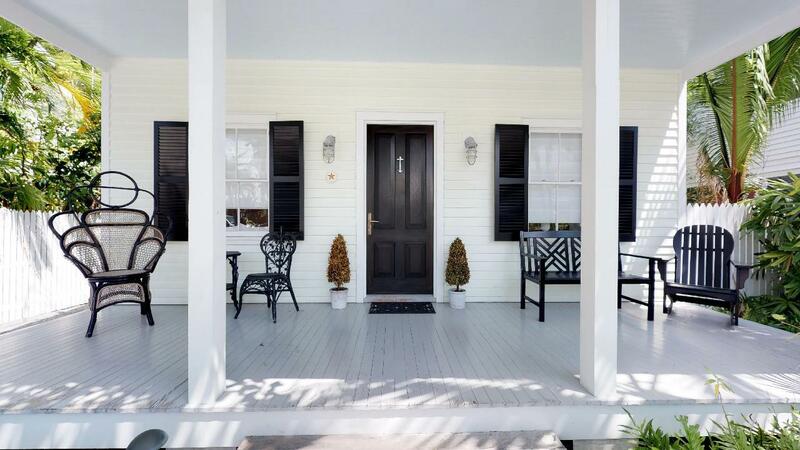 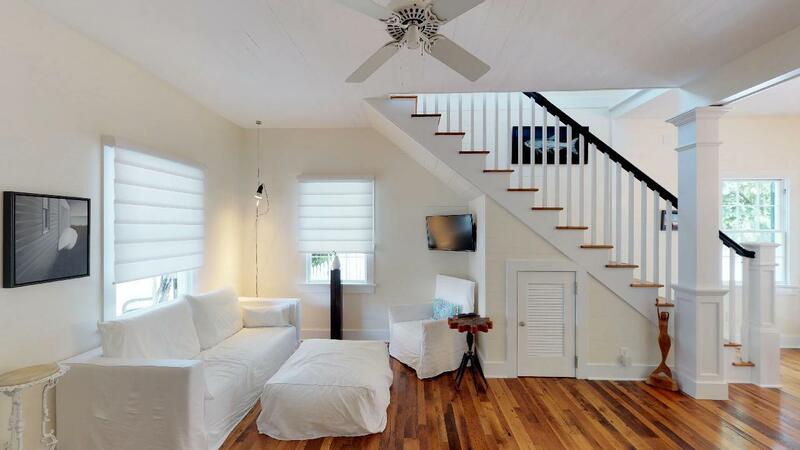 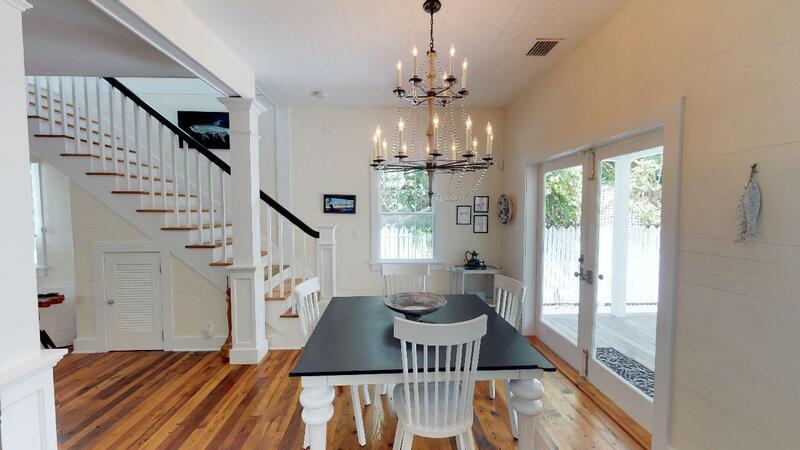 Located in old town Key West with off street parking and an easy stroll to everything.